Countries Where You Shouldn't Drink Tap Water - Is There A Solution? A growing number of US travelers – millennials in particular – are feeling some serious wanderlust. So much so that American millennials are expected to travel 36 percent more than they did last year. This is a staggering jump compared to other age brackets that are only expected to travel 6 percent more this year. Increasingly, though, one of the biggest concerns that remain for the modern traveler is access to clean water. Five of the top ten most-visited cities don’t offer access to clean, public drinking water, according to the CDC. This list includes Bangkok, Thailand (which took London’s place as the most-traveled city), Dubai, U.A.E., and Kuala Lumpur, Malaysia. For anyone visiting an exciting new city, ready to see the sites and try all the bites, don’t let water cause worry. As long as travelers know where they might experience water woes, they can plan ahead for an exciting, memorable (hydrated) trip. Five of the top ten most-visited cities don’t offer access to clean, public drinking water, according to the CDC. Clean water troubles while traveling is not restricted to exotic locales. Let’s walk through this journey together. The saga begins, as it often does, at the airport. Gone are the days when the friendly guards at security let someone through with a full bottle of water. For anyone who needs more than 4 ounces of water to hydrate (read: everyone), the only options are to either shell out for a bottle of fancy airport water or bring an empty bottle in to fill up. Hypothetically, this traveler prefers the latter option. Either that person is lucky enough to find one of the few filtered bottle refill stations that are popping up in select airports or they’re filling up from a fountain or tap. Best-case scenario, tap water is chock full of contaminants that are dangerous in large doses – lookin’ at you chloramine. Worst-case scenario, water could contain serious toxins from lead leaching and other infrastructure-related mishaps. Maybe this hypothetical traveler opted for buying a bottle of pricey airport water instead of bringing an empty bottle to fill (quick reminder: bottled water is not regulated by the US Environmental Protection Agency and is instead regulated by the Food and Drug Administration, which has arguably looser restrictions on water quality) or maybe this traveler hydrated right before they left for the airport. Once our traveler boards the plane, he or she is at the mercy of plane water. Unfortunately, a recent study published in the International Journal of Environmental Research and Public Health has found a host of problems with airplane water. Researchers found different bacteria and unsafe levels of chlorine in airplane drinking water. The study pointed out that the level of bacteria was higher when it was dispensed than it was at the source. Researchers also found that longer flights often had worse quality water than shorter flights. Just a few years before this study was published, the World Health Organization, in part out of concern for the quality of drinking water on airplanes, published the Guide to Hygiene and Sanitation in Aviation – not a great sign. At this point, the traveler has made it to a new city and is excited to explore. Whether this traveler has access to safe water once they disembark depends entirely on the final destination. Some cities not only have safe water but also have access to free, public sparkling water fountains — definitely goals. Meanwhile, in other cities, it’s important to always buy bottled water and sometimes even avoid ice and fruits with edible skins. In some of these cases, the water may be treated and cleaned in accordance with global drinking water standards, but sometimes the water quality falls victim to aging water infrastructure; an issue that even plagues some regions in the U.S. The Cleveland Clinic has a great guide for people who are traveling to less developed regions and might benefit from safety considerations. There are two ways to hydrate safely while traveling. First, create a separate line item in your travel budget for bottled water, but be careful. 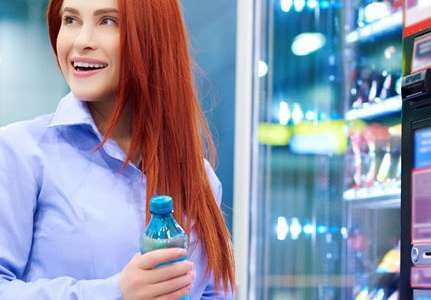 Bottled water can be good, but regulations vary. Doing some research on what kinds of bottled water to buy before embarking on a trip is a crucial step. Alternatively, there are a number of portable water bottle filters available. 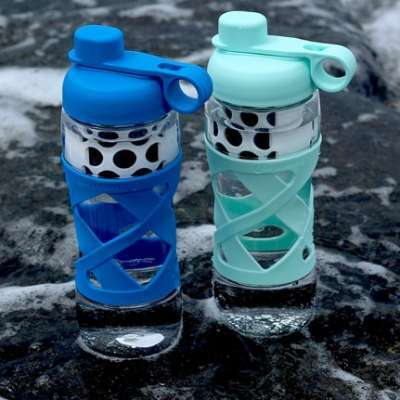 Oftentimes, these filters include an activated carbon chamber to pull toxins out of water before they leave the bottle. A single purchase of our BPA-free water bottles replaces more than 600 disposable water bottles. It’s also important to find a water bottle filter that takes out the maximum number of toxins. For example, while our filtration bottle reduces 99 percent of bacteria, lead, cysts, and chlorine from your water, it retains naturally occurring minerals including calcium, potassium, and magnesium. And for anyone worried about having to (or forgetting to) pack extra filters for a trip, one cartridge can filter 80 gallons of water, lasting you all-vacation-long, because clean water shouldn’t sacrifice health. Get your raw water here! Should I Drink It?